The Power of a Road Trip: Breaking the cycle of ‘no’ after the rejection of the Colombia peace deal. Nine campaigners against the Government-FARC peace deal, Irish paramilitary groups, visa issues, a rental van, and the risk of intractable polarisation hanging over Colombia’s transition to peace. In the run-up to voting, polling was showing a comfortable 60% in support. But on 2 October, twenty minutes after the polls closed, it was over. By a razor-thin margin, the answer was in and it was: ‘No’. “The poll result was a shock. It felt like our Brexit in a lot of ways” says Andrés García Trujillo, an Associate at the Institute for Integrated Transitions (IFIT), an international NGO that had served as an independent advisor to the Government of Colombia during the Havana talks. Initially, the country seemed to come together: the government sat down with the most visible leaders of the ‘No’ side to hear their concerns, before returning to Havana to incorporate most of them into a revised agreement. But the revised deal was then pushed through Congress, provoking outrage from many ‘No’ supporters. The possibility of reconciliation, or even co-operation, between the ideological tribes that had been formed suddenly looked more distant than ever. At IFIT, staff were mulling over where to start in dealing with the fallout from the plebiscite. Juanita Goebertus, the then Deputy Director of IFIT, began informal contact with key leaders who had opposed the agreement or had qualms about its implementation. At the same time, Ireland — a key donor for IFIT — reached out to propose a visit to draw lessons and inspiration from its own ongoing reconciliation process in Northern Ireland. 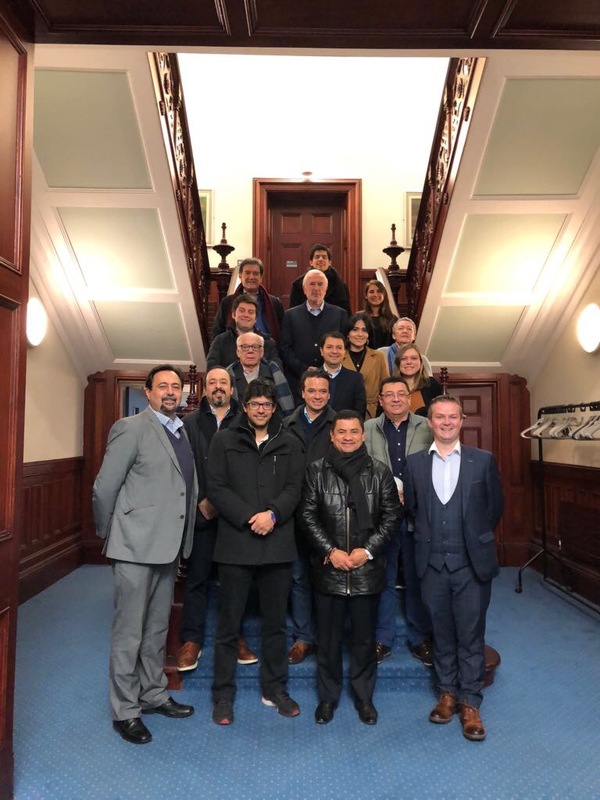 By autumn 2017, with the 2018 presidential elections looming, a group of prominent ‘No’ leaders had been brought together with members of the ‘Brain Trust for the Colombian Transition’ — a group created by IFIT and made up of top government advisers from the negotiations — to plan a one-week visit to Northern Ireland to meet and talk with supporters and opponents of the 1998 Good Friday Agreement and to see, first-hand, how despite great divisions, they have been managing the difficult and thankless task of implementing the peace over the last 20 years. From the officious visa processes for the Ireland-UK land crossing to the real reputational risks that the ‘No’ campaigners were exposing themselves to, the project was not without its challenges. But with attentive shepherding from the Irish foreign ministry and Irish embassy in Mexico City and financial support from the EU Trust Fund for Colombia, on a Sunday in late November, the group landed at Dublin airport and by Monday afternoon had set off in a rented minivan across the border to Belfast. 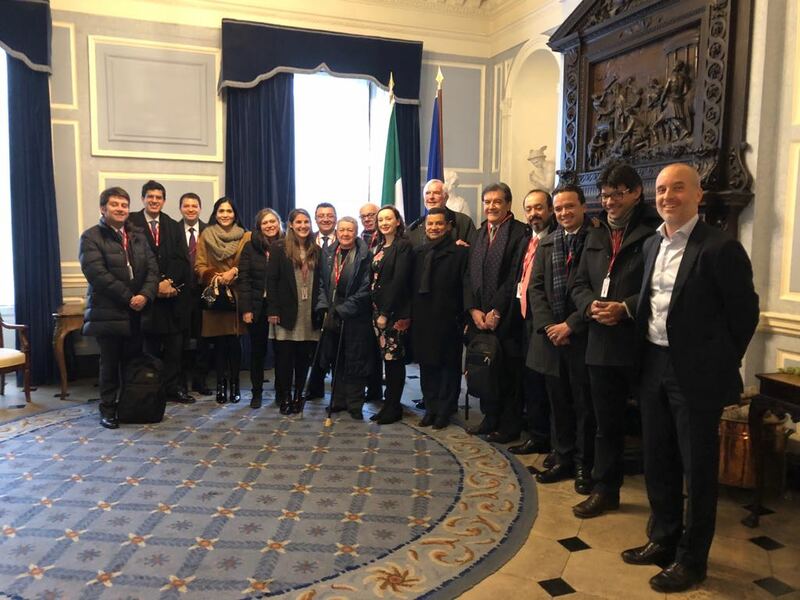 It was “like a school trip”, says García, with a senior advisor from the Irish MFA standing in as the dynamic and trusted teacher with a penchant for punctuality. That week, the group met with ex-combatants, victims, police, civil society and communities on both sides. It was a hectic agenda of scheduled and unscheduled moments of reflection in between shared meals, in-jokes and poignant moments of observing reconciliation in real time. Hearing ‘reformed’ ex-combatants from the IRA and loyalist groups, now colleagues at a tour company, twenty years later, still unable to entirely disengage from their own versions of events, was a confronting reminder of how conflict embeds itself into our psyche. Later, watching the same two colleagues greet each other with a hug as they crossed over shifts only reinforced the truth that peace, in real life, will never be about ‘convincing’ the other side of your own righteousness. The experience of the visit stuck. After the trip, one of the group from the leaders of the ‘No’ campaign commented, “the lessons from Ireland are huge. Reconciliation is a long process, but at least sitting down to talk with that one that thinks differently is crucial. It’s been a great experience”. There are still some voices in Colombia fixed on the cycle of opposition and rejection and even some of those that voted ‘Yes’ are uncertain that reconciliation can work. But there is a constituency for peace. The thousands that joined the candle-lit march of silence that took place in Bogotá in the aftermath of the referendum was a show of unity around peace despite political differences. The dialogue with leaders from the “No” campaign has continued, deepened, and matured. The IFIT project is a concrete way to show that reconciliation is possible by creating a space away from the limelight where those with opposing views can, nonetheless, remain open to exchange and prepared to seek common ground. For García, the need for dialogue is clear. “If we can talk with the FARC, then surely we are able to talk to those who view the path to peace in Colombia differently”.